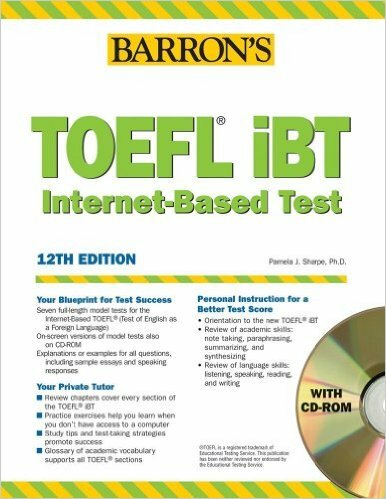 The TOEFL (Test of English as a Foreign Language) is now being offered as an internet-based test, or iBT, and the new edition of Barron’s TOEFL manual and accompanying software have been completely revised and updated to reflect the new format. The manual presents seven full-length model TOEFL iBT tests with explanations or examples for all questions, including sample essays and speaking responses. The author also offers general orientation to the new TOEFL iBT, as well as a review of academic skills, which include note taking, paraphrasing, summarizing, and synthesizing. There is also a review of language skills–listening, speaking, reading, and writing. The optional CD-ROM presents seven on-screen TOEFL iBT exams that simulate actual test conditions and provide automatic scoring.